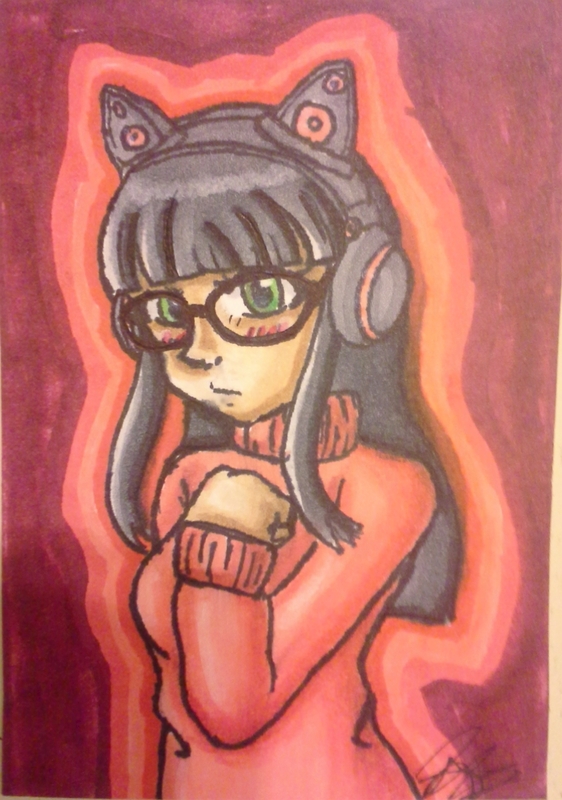 Here’s a cute drawing of Clementine wearing those super popular Axent Wear headphones from my friend SleekyKiks! In less than one week away, I’ll be having a table at the Quebec City Comiccon! I hope you guys come see me if you’re in the area! I’ll have more books to sell there, as well as a bunch of prints and cute bookmarks as always. And I’ll be taking small commissions too! 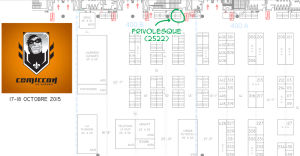 To please drop by booth 2522! The QCCC is the biggest con in this little city of mine, so of course, Frivolesque had to be there. And I hope you guys will be too. This event definitely needs to grow bigger and bigger to show the world Quebec City also has its share of awesome geeks! 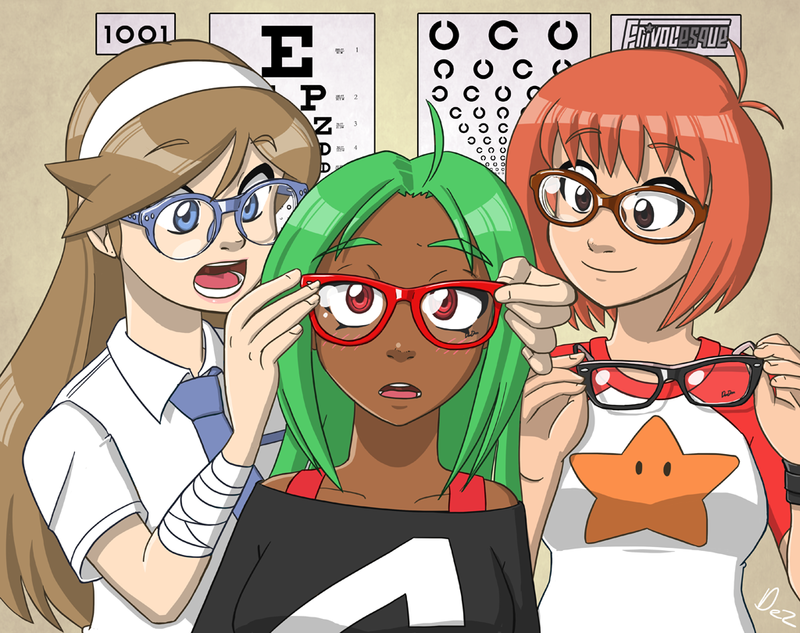 On the Japanese internets, October 1st is Glasses Day (眼鏡の日, Megane no Hi), because October 1st is 10-01 and that looks like a pair of glasses. Get it? Considering this comic is filled with bespectacled ladies, I thought it would be in order for me to draw a special picture for this occasion. 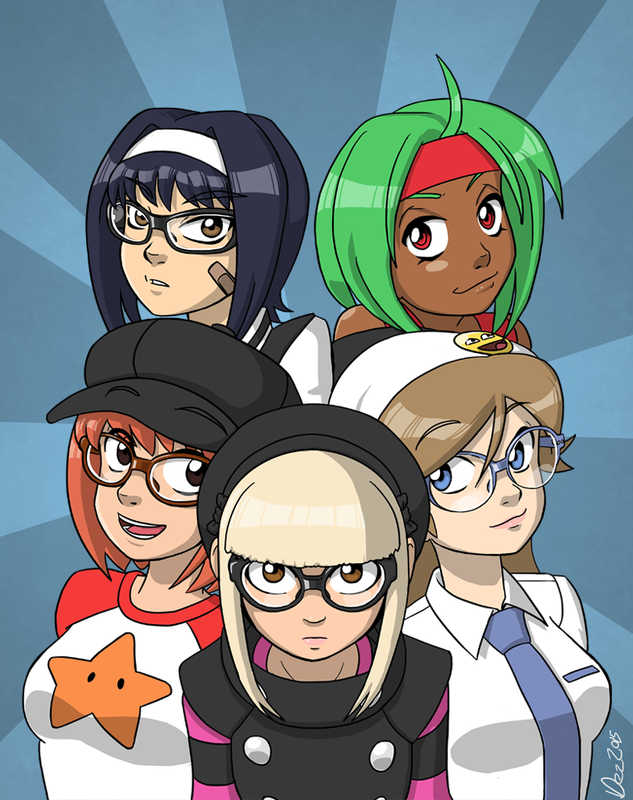 Frivolesque will officially get printed, so I’m sharing the cover art with you guys! I don’t have much details yet. I’m mostly gonna sell the book at conventions and stuff, but maybe this will give me the urge to make a web store at some point. There’s so many things I want to do with this website. We’re also printing the book both in french and english, so I know our french speaking readers will be happy about this!